Angular shapes and strong toes are the key elements for Robert Clergerie this season. 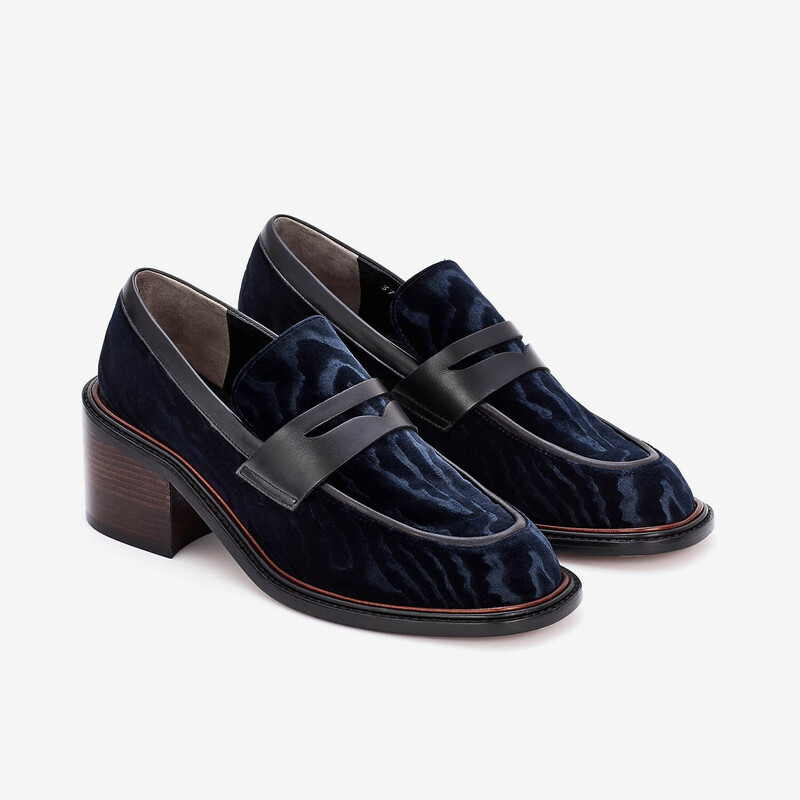 Silviat moccasin is made from moiré velvet fabric. 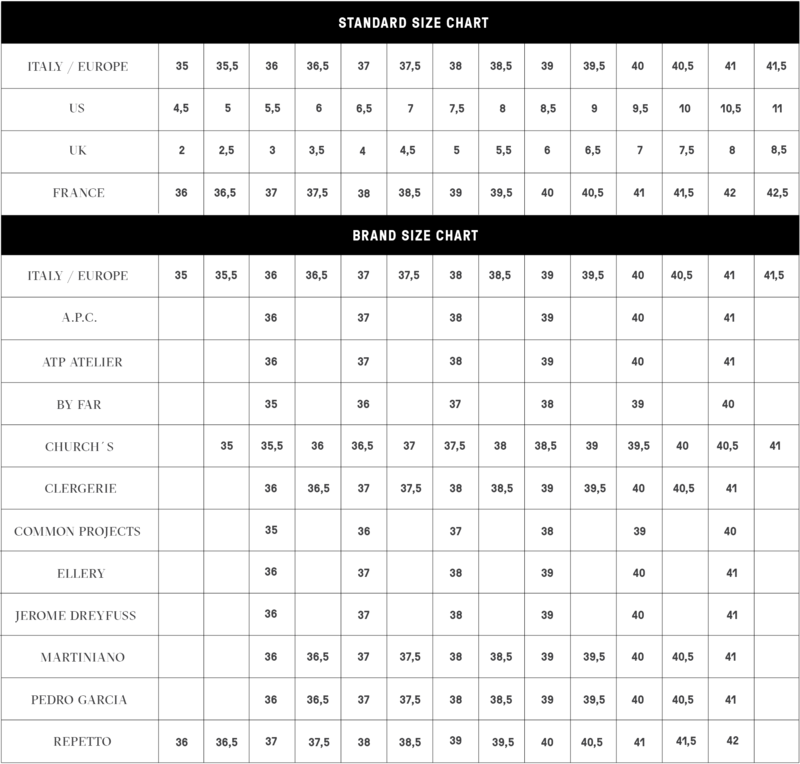 It has strong squared toe with high profile, heavy sole and heel. These factors combined with otherwise classical elements such as the original moccasin construction and diamond shaped cut on the saddle creates a interesting entity of classical and modern aspects. Rough leather sole is finished with double-welt in contrasting colour for refined look. Stacked leather block heel is 60 mm high. Deep brown colour. Read more.. Rough leather sole is finished with double-welt in contrasting colour for refined look. Stacked leather block heel is 60 mm high. Deep brown coloured stacked leather heel acts as a perfect contrast to powdery blue velvet upper with slight zebra embossing. Saddle and binding on the edge are made from smooth black leather. 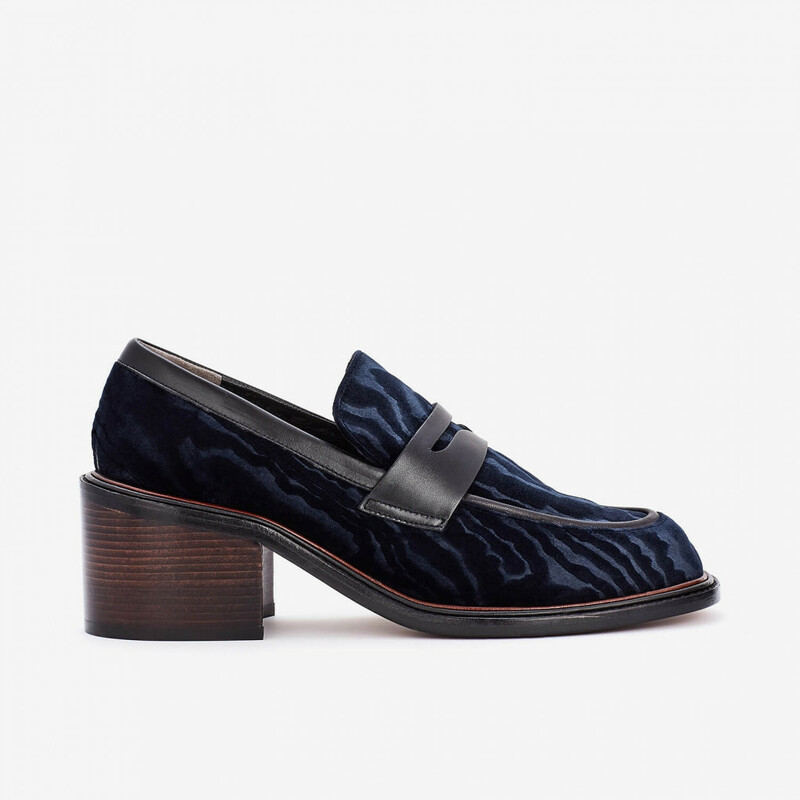 1 x Silviat Loafer Heel was added to your shopping bag. 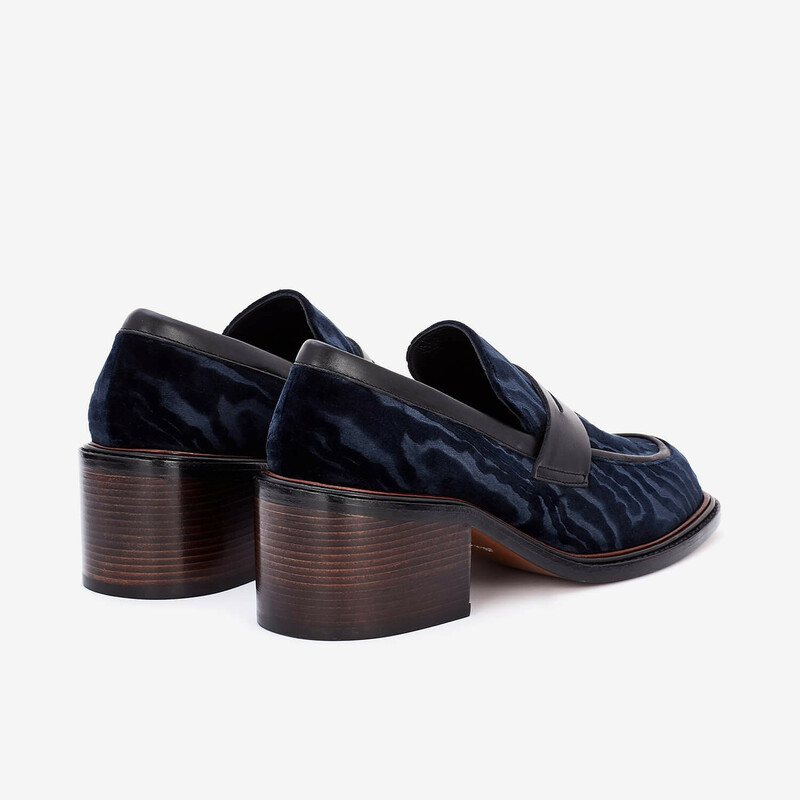 1 x Silviat Loafer Heel was added to your wishlist.